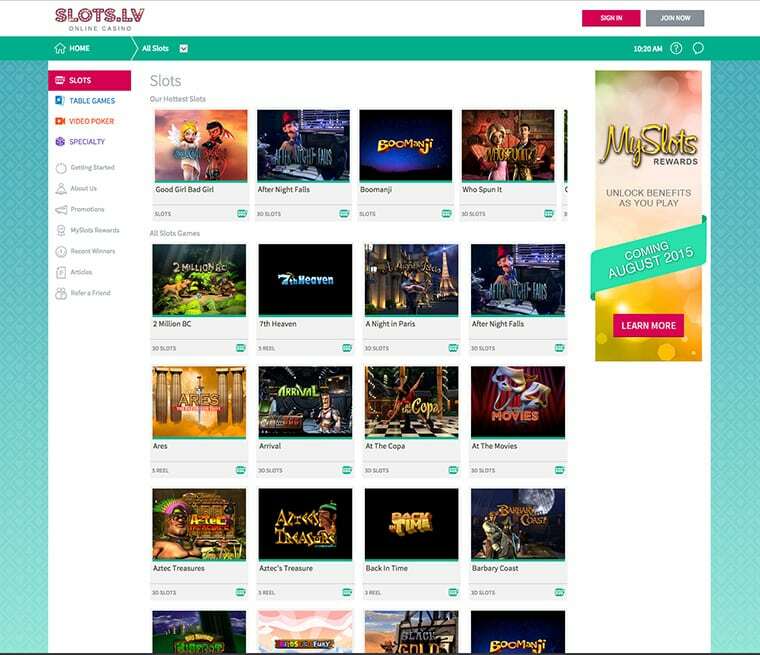 Slots.LV is a well-established Bitcoin casino destination, which has been successfully serving thousands of customers ever since 2013. The site features over 400 games by Rival, RTG and BetSoft and works under the jurisdiction of the Mohawk Territory of Kahnawake, Canada. The casino is compatible with desktop, laptop and mobile devices, plus provides an excellent customer care around the clock. However, the reason why so many bitcoin fans decide to play at this fantastic and good looking site is the opportunity to make free of charge transactions in their favourite cryptocurrency. 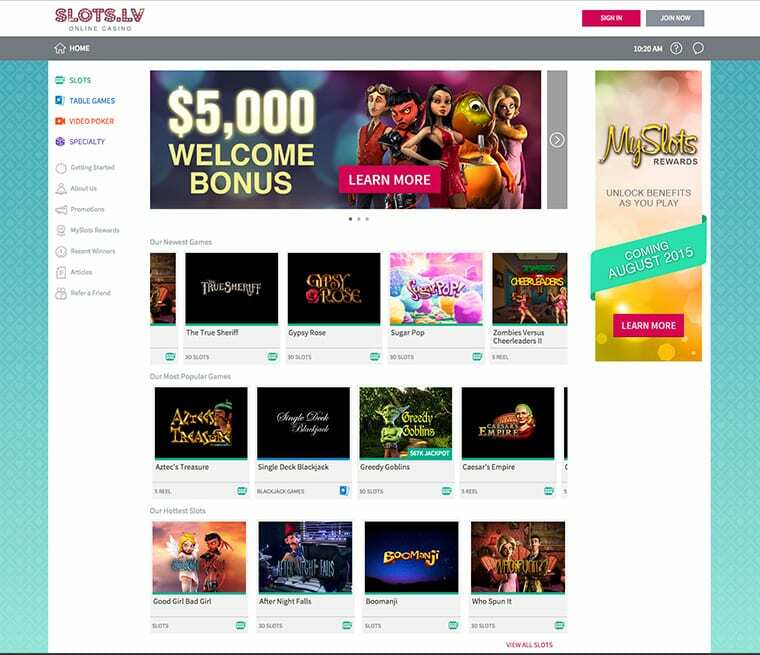 Unlike bitcoin only gaming sites that require only an e-mail address during registration process, Slots.LV online casino would require you to provide name, surname, date of birth and country of residence. Nevertheless, signing up is extremely easy and takes no more than several minutes. Once you fill out the mandatory fields and accept the terms, your account will be registered and you’ll be ready to start your adventure at the casino. 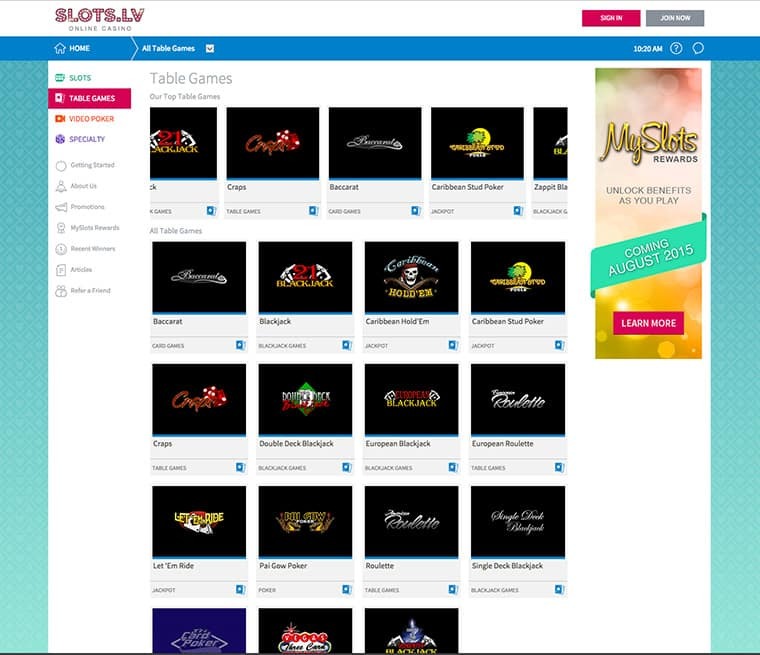 Slots.LV boasts with an amazing game catalogue with over 400 titles powered by leading providers. Therefore, players can enjoy breath-taking 3D graphics on BetSoft games, experience Rival’s i-slots and play Realtime Gaming’s progressives. All titles at the site are neatly categories in the several sections. The table game catalogue at Slots.LV Casinoshouldn’t be ignored either. The operator offers over 15 variants of popular picks like roulette, blackjack and poker. Moreover, the selection includes Craps and Baccarat, making the variety of table games quite good. Pretty similar to the table game offer, the selection of video poker counts something over 15 titles. Players at this destination gain access to fan favourite variations such as Jacks or Better, Joker Poker and Loose Deuces. The last category of games at Slots.LV hides interesting titles that are perfect for getting a quick dose of thrill. For example, players can try American Bingo, Scratcherz, Keno or Virtual Racebook and win juicy prizes in a short period of time. 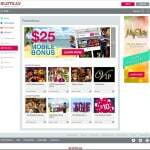 Get a $5,000 welcome package made of $1,000 first deposit bonus and additional eight bonuses of $500 each. 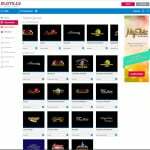 MySlots Rewards is the site’s loyalty scheme, which is made of eight tiers and offers great benefits like exclusive bonuses, birthday surprises and personal account managers. Play on your mobile device and get a $25 bonus. 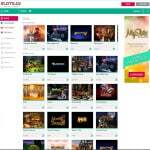 Make your first bitcoin deposit and Slots.LV will give you a $100 free chip. Refer a friend and get up to $200 bonus. 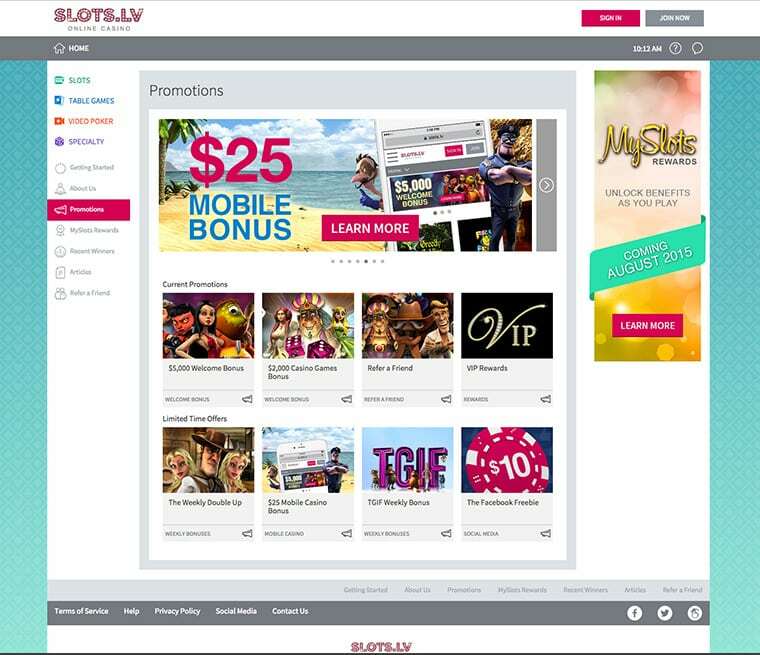 Thanks to its brand new responsive design, Slots.LV perfectly fits displays of smarpthones and tablets. This makes playing on the move extremely easy and attractive. The game selection is as amazing as on the desktop version and features popular slots, table games and video poker variants. Not only mobile gamblers can play games, contact support via the provided form and make bitcoin transactions, but they also can claim bonus offers some of which are exclusively reserved for them. If you are looking for a go-to slots focuesd mobile Bitcoin Casino, you can’t go wrong with Slots.LV. All games at Slots.LV are played in US Dollar and deposits in other currencies are automatically converted. Therefore, here are some important things bitcoin users need to know prior to making their first cryptocurrency payment at the site. First, deposits are processed instantly, whereas withdrawals take up to one business day to be completed. Bitcoin transactions from and towards the casino are free of charge and completely secure. When using bitcoin as your preferred banking options, you’ll be able to make only one cashout every three days. 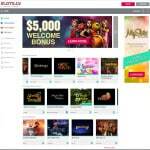 Slots.LV is a serious and trustworthy online casino operator that takes an excellent care of all members. The site’s support team works around the clock to assist users with issues of any kind via e-mail or phone. In addition, there’s a useful help centre where you can find answers for most commonly asked questions by yourself.